One morning in early Summer, I sat on my back deck watching the sun rise over the hills surrounding my home. I imagined how peaceful this sight would be by a lake near the forest. 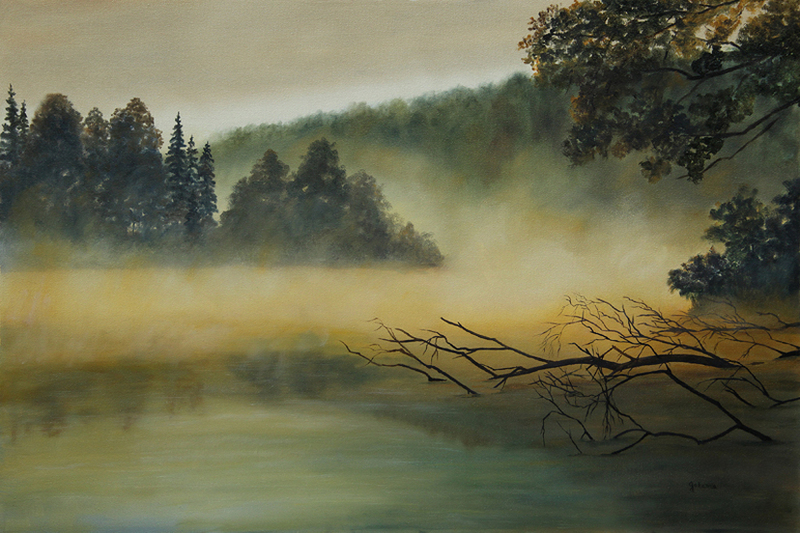 My inspiration for this painting was the beautiful yellow sunlight burning through the fog as it rose from below.